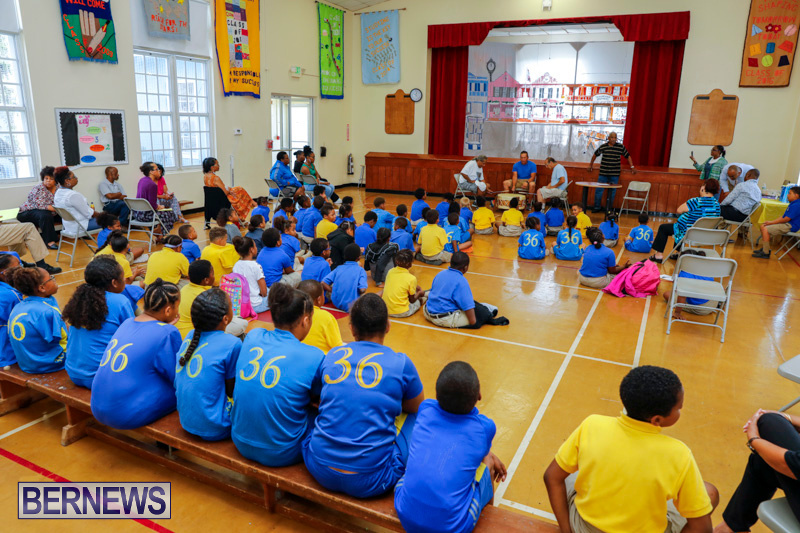 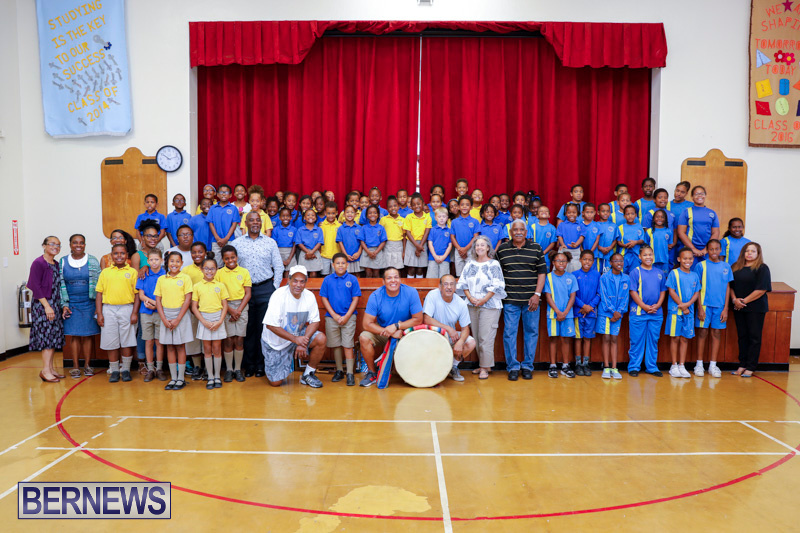 [Updated with event programme] In advance of the Bermuda Pow Wow this coming weekend at the St David’s Cricket Club, a group of Native Drummers and members of The St. David’s Island and Native Community paid a visit to St. David’s Primary this morning [June 8] to talk with the students and provide them with live examples of their craft. 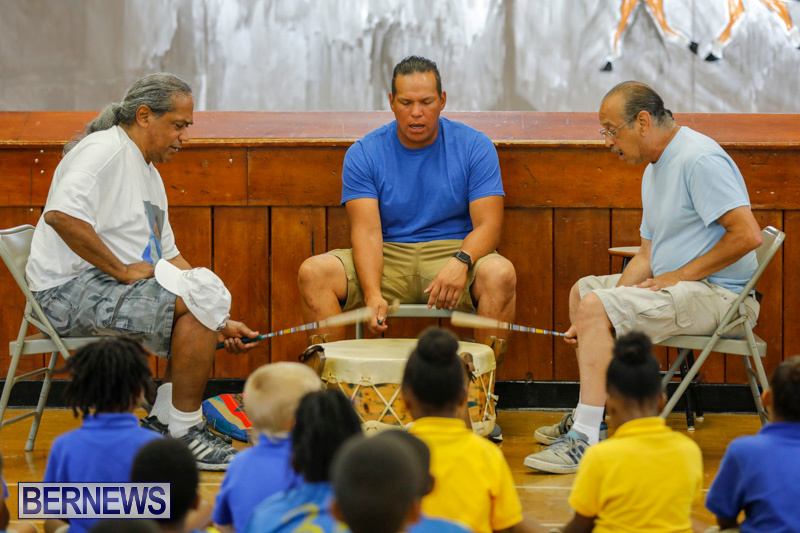 Students enjoyed information on the art itself, along with live drumming performances. 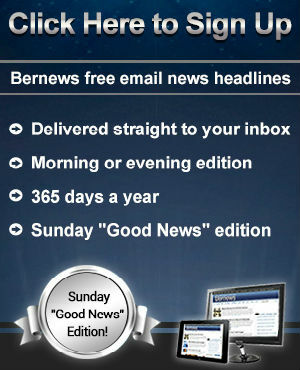 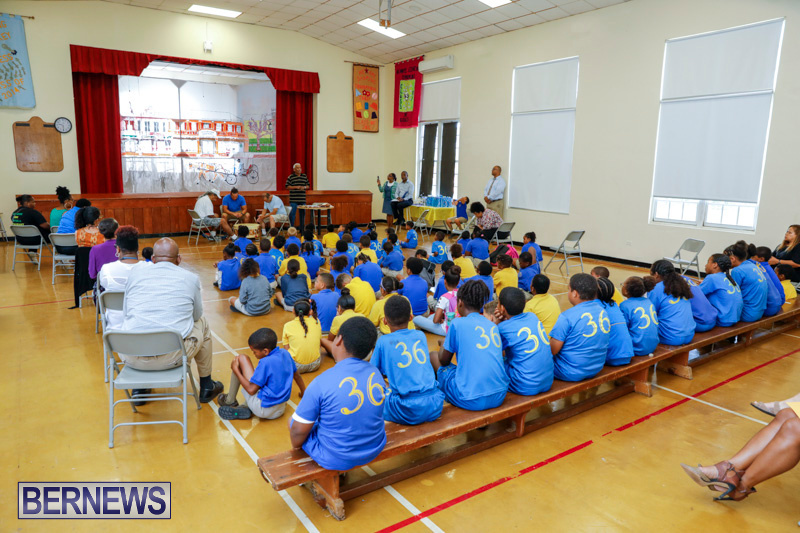 A spokesperson said, “Today the students and teachers of St. David’s Primary School were honored to host the guest of The St. David’s Island and Native Community. 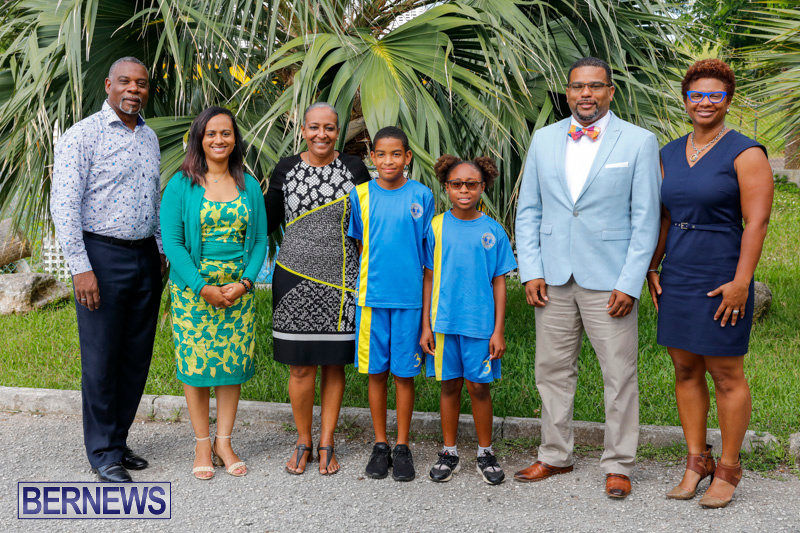 “In attendance was the Minister of Education Diallo Rabain, Minister for Government Reform Lovitta Foggo, Junior Minister for Disability Tineé Furbert and Education Officer for Social Studies Mrs. Nicole Grant. 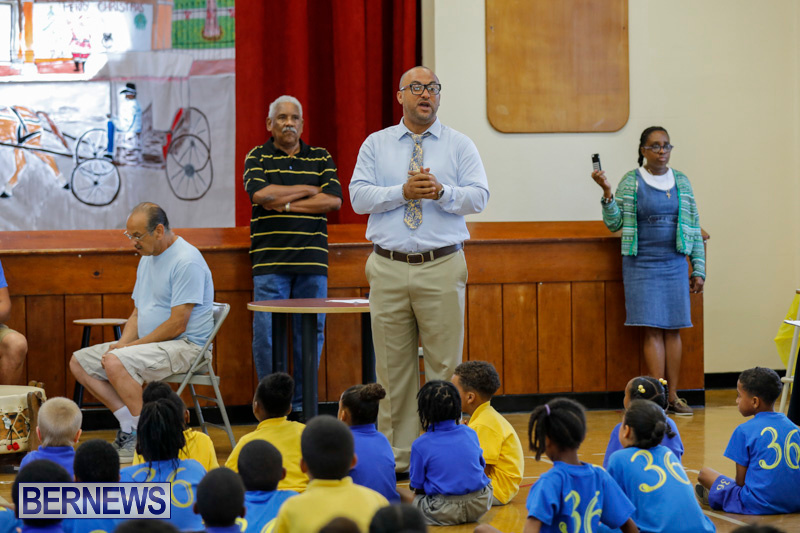 “Honored guests were welcomed by Principal Thompson and Social Studies Teacher Leader Cleveland Richardson. 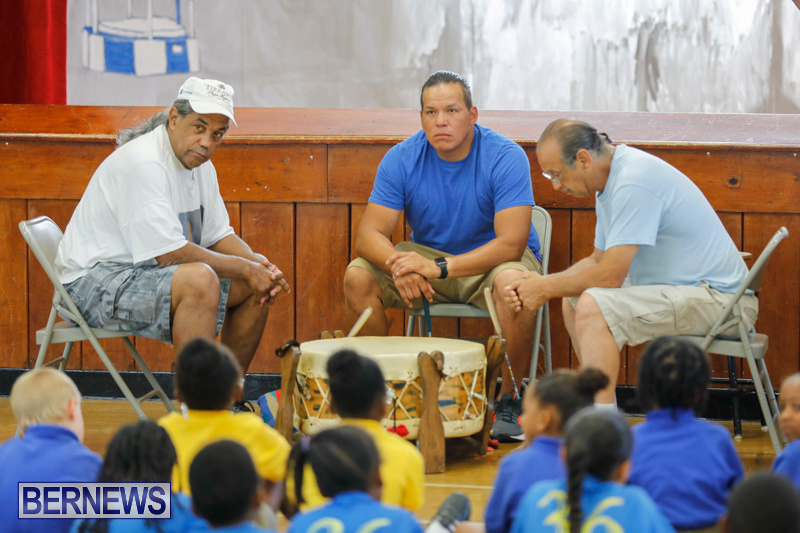 “After opening remarks by the Education Minister, the Wake By Lake Singers exposed the audience to a breath taking demonstration of Indigenous Song including a dynamic drum played by Martin Hendricks of the Wampanoag Tribe, Brian Myles of the Mohegan Tribe, and Cameron Greendeer of the Ho-Chunk Nation. 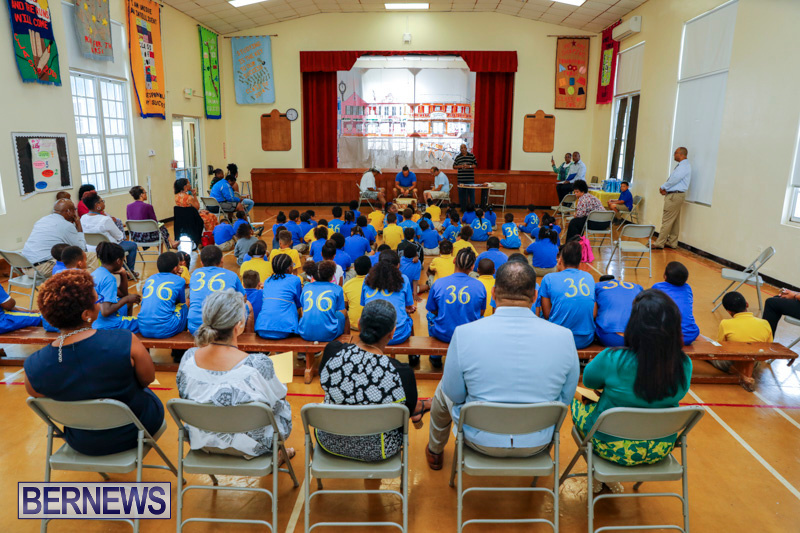 “The audience were given the opportunity to engage in Q&A followed by a history lesson on Indigenous People in Bermuda and the significance of St. David’s Island and Dark Bottom in the Cove Valley, Lighthouse area. 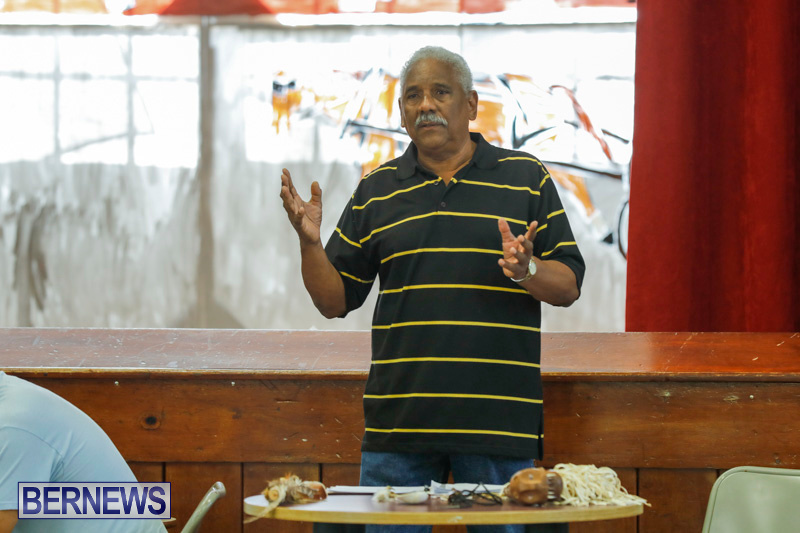 Jewels and artifacts were on display exhibiting the craftsmanship of various Indigenous Tribes including a special jewel only worn by the Chief. 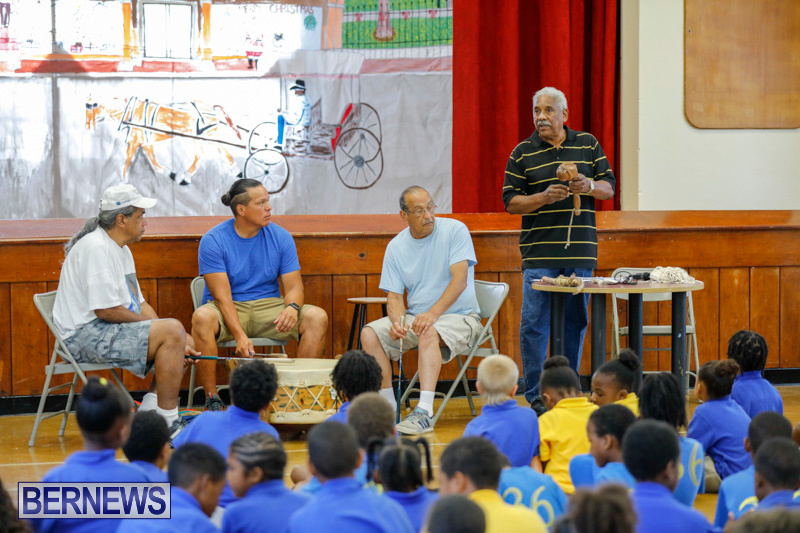 “The experience concluded with the audience extending their gratitude with a rousing applause and The Wake By Lake Band, their host Mr. Sinclair “Brinky” Tucker and Suzann Roberts-Holshouser and the entire school in a group photo.